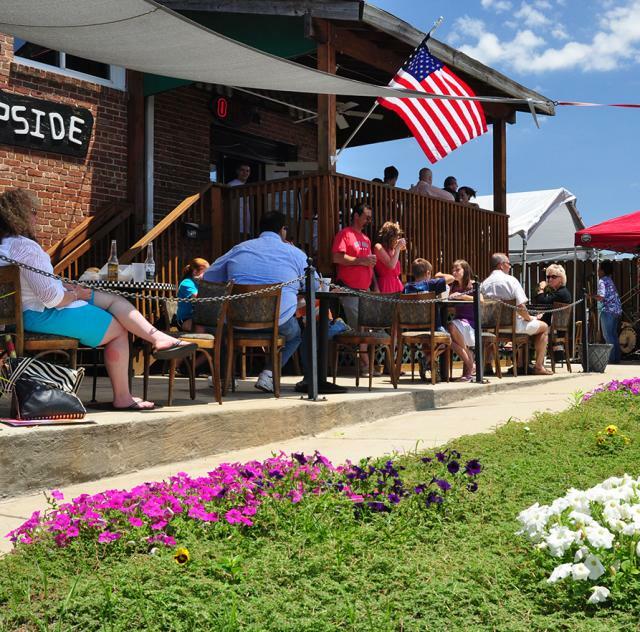 The Flipside Restaurant and Pub is located in the back of the Historic J.G. Barbour and Sons Hardware building in the heart of downtown Clayton. Our Taproom opened in 2016 and offers the finest craft brews the Carolinas have to offer. We offer full menu of appetizers, salads, entrees and desserts as well as a full bar. We also offer live music on the weekends Friday and Saturday nights, including Alt-Country/Rock, Singer/Songwriters, Acoustic Rock, Bluegrass, Rockabilly, and whatever else strikes our fancy. During the week we offer Open Mic on Tuesdays, Wine Down Wednesdays with entertainment at 6pm, and Thirsty Thursdays with Karaoke at 9pm. Check our calendar for bands and what else is on tap!